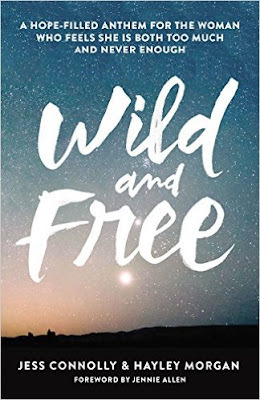 It's been exactly two years since I first heard Jess Connolly speak about being wild and free. I remember taking all the notes and then going home to read and re-read John 10:10. "The thief comes only to steal and kill and destroy; I have come that they may have life, and have it to the full (NIV)." "...I have come so they may have life. I want them to have it in the fullest possible way (NIRV)." To be fully alive? I wanted that! But to enter into that kind of living, I needed to give myself permission to be fully who God made me to be. For myself, this means being creative, even when it doesn't bring me an extra income or a massive internet following. It may not lead to a great career, but it brings me joy. It makes me come alive. And I wonder if that is how we bring the light of Jesus into the world- by being fully alive. On May 1, 2014, God used Jess Connolly to begin a spiritual work in me. I return to that entry in my journal often, because the sweet truths unlocked my jail cell of a life living according to others' opinions. That message empowers me, daily, to connect with Jesus in my own unique way. 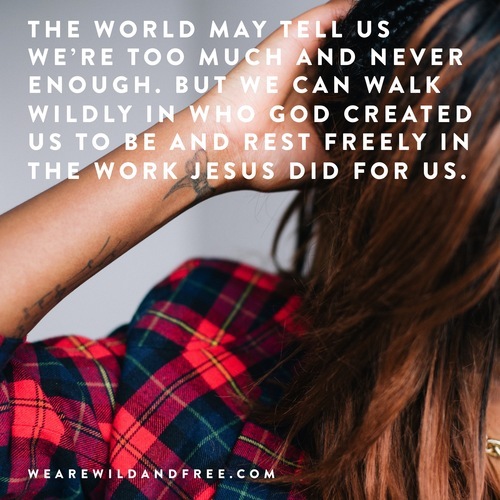 Now, Jess, and her friend and Influence Network co-founder, Hayley Morgan, are sharing this song of freedom to everyone in their book, Wild and Free: A Hope-Filled Anthem for the Woman Who Feels She is Both Too Much and Never Enough. The title alone makes my heart leap! I joined the launch team and read the pages early, so I could selfishly renew what stirred in me two years ago. Because for us to invite others to this freedom march, we have to believe it deeply ourselves. We have to experience the goodness of God and how He sees us. "And when you've tasted freedom? When you've walked away from defensive living, you can say good-bye to the heaviness of other's expectations. You can walk without crippling insecurity. You can live with your imperfect self, knowing that you're covered in Christ (Morgan, chapter 12)." Recently, I blogged about "Being Okay With Who I Am." Settling our identity in Christ is what this book is similarly about. While being "wild," is most likely not a term that we would classify as an acceptable female or Christian adjective, Jess and Hayley seek to redefine it as "unhindered by cultured norms (Connolly, chapter 9)." We have to stop looking around so much and comparing ourselves to others. We have to stop letting others determine how we should look or act or feel. Doesn't the Word tell us to "not conform to the pattern of this world (Romans 12:2)?" We can be wild when we fix our eyes on Jesus and what He thinks of us. He knows what we're made of, and He loves us. Period. Right from the start, our Creator said that we were "good (Genesis 1:31)." In all of our different shapes, personalities, talents, circumstances, pasts, and even in our sins or weaknesses- we are unconditionally loved and accepted by our God. Remember that "if Christ is in you...You're as holy...as wild...as free...as loved by God as you'll ever be (Connolly, chapter 7)." We aren't too much. We don't need to be more or do more. That's grace. And that's freedom. All we have to do is walk in these truths and live it out. I strongly recommend that you read Jess and Hayley's new book. For yourself. For your girlfriends. For your moms and your sisters. 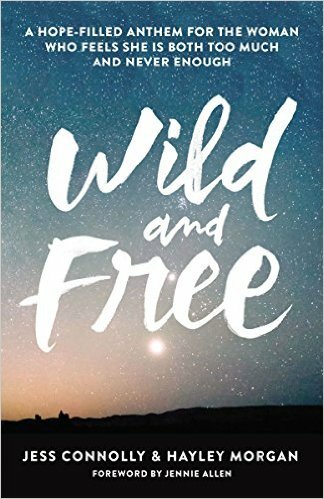 WILD AND FREE LANDED ON THE SHELVES TODAY! You can order online or at most major bookstores (Amazon, Lifeway, Barnes and Noble, Christianbook, Books a Million, Faith Gateway).